This is one of the most famous stories of Christmas. Wise men follow a star to find Jesus. When they arrive, they present Him with valuable gifts. But the true worth came from the love and faith with which they were given. Some scholars believe that each of these gifts is symbolic. Gold is a gift usually presented to royalty and shows that the wise men acknowledged Christ as their true King. When the wise men gave incense, they recognized the deity of Christ because incense was used in offerings at the temple. Myrrh is a fragrant but bitter substance taken from a tree. This represents the humanness of Christ and the suffering He faced. When Christ was on the cross, He was offered a cup containing myrrh. 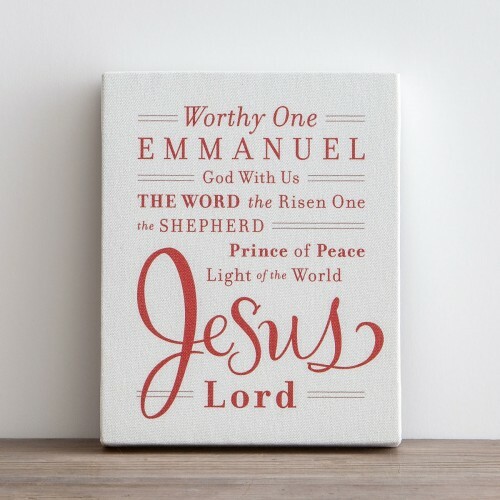 Like the wise men, we can offer Jesus what is valuable in our lives. We can also worship Him as our God, honor Him as our King, and thank Him for His suffering on our behalf. What’s a gift you want to give with love and faith to Jesus this Christmas? I love your Heart of Christmas series, Holley. It really amazes me how each gift the wise men brought had such significance. Thank you for reminding me of what they meant. What’s a gift I want to give? I’ve been thinking a lot of Mary, how she surrendered her whole self into God’s hand, to His will for her life. That’s my desire – to give Jesus my whole self, completely and willingly. As I reflect on the blessings God has given me this year, you definitely are one of them, Holley. Your posts are always so encouraging, always glorifying our Savior and pointing me to who I really am in Christ. Thank you. Have a peace-filled Christmas! I want to give Jesus my time and effort in thoughtfulness and kindness to others that will draw them into the family God. I want to give him words and actions that are pleasing in his sight.